From the 2007 General Election Campaign a 36 page booklet produced by Conor O’Donoghue of The Christian Solidarity Party who was running in Limerick East. It contains a timeline with 67 different stages from creation to the 2002 Abortion Referendum. There are policies, letters to RTE, letters to an Taoisech, to Ministers and a lot more. 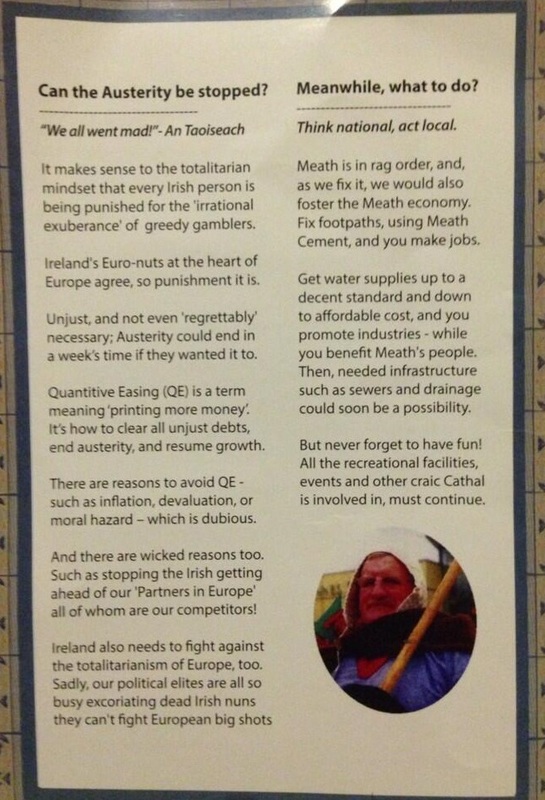 A leaflet from Commandant Cathal Ashbourne Loftus who is running for The Christian Solidarity Party in Ashbourne for a seat on Meath County Council. I’d presume he changed his name from Cathal Loftus to Commandant Cathal Ashbourne Loftus to be higher up the ballot paper. An interesting ad in the April edition of Alive! 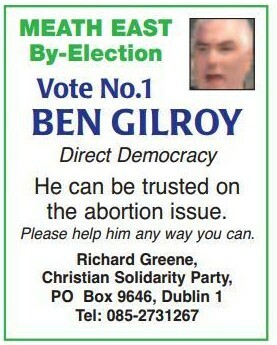 from The Christian Solidarity Party asking voters to vote for Ben Gilroy of Direct Democracy Ireland. In the 2011 General Election Jane Murphy of The Christian Solidarity Party in Dublin South also advertised Direct Democracy Ireland on her leaflet. Richard Greene is the leader of the Christain Solidarity Party. A former Green Party Councillor he was involved in a party Muintir na hÉireann and has run as an Independent Pro Life candidate also. DDI would like to make it clear that the CSP is a COMPLETE separate organisation with COMPLETE separate people running it. Separate religious agenda – where DDI has complete none – TOTALLY SEPARATE people running it’s rules and constitution and separate founders. Separate headquarters and again separate head-office location. 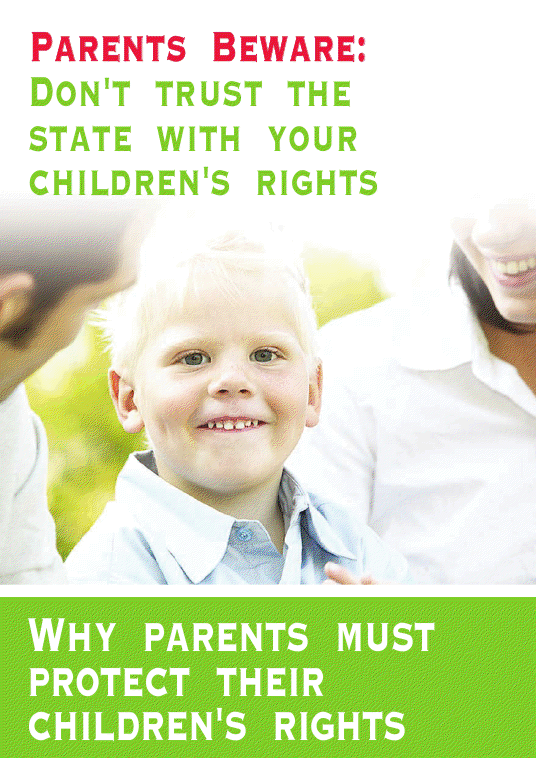 From the ‘Parents For Children’ group a leaflet “Parents Beware: Don’t trust the state with your Children’s Rights” urging a No vote in the Children’s Rights Referendum. “Are You Thinking what Harry Is Thinking?” a 2011 General Election flyer from Christian Solidarity Party Cork North central candidate Harry Rea. Rea , who is a likely opponent to the November 2012 Childrens Rights Referendum, polled 324 votes. From the 1999 European Elections a leaflet from Gerard Casey of the Christian Solidarity Party who was running in Dublin. He polled 9,425 votes (over 3%).